We seriously didn't think it would come this far, but as the popular sports saying goes, don't ever underestimate the heart of a champion. The Golden State Warriors barged into the NBA Finals with a Game 7 win against the hapless Oklahoma City Thunder, 96-88, coming from a 1-3 series deficit to successfully defend their Western Conference Championship. The Dubs, led by a cool 36 points from MVP Stephen Curry, finished Game 7 strong against the punchless Thunder. A paltry 12-point production in the third quarter typified Oklahoma City's late-game struggles—choking—all season long. 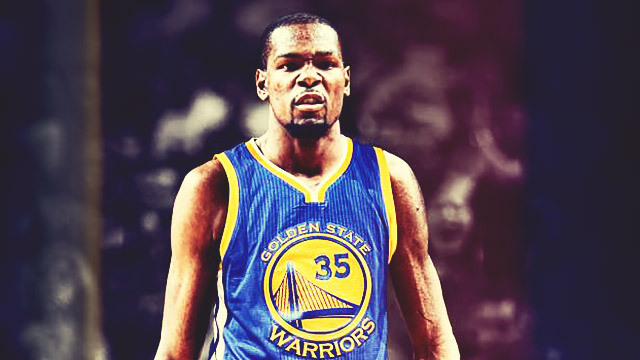 In the thick of free agency rumors is the one about Durant actually teaming up with Curry and company to form one of modern basketball's game-changing alliances. A loss of this magnitude will not only cement this Thunder squad's legacy as "ultimate choke artists"—worse than the Los Angeles Clippers—but also intensify doubts regarding KD's future with the team. After years of coming up short, OKC finally realizes it's time to part ways with either Durant or Westbrook. Both Kevin and Russell Westbrook sense this and, to the utter shock of the whole city, pack their bags at the same time to join forces elsewhere, say a big-ticket franchise aching to be relevant again—*coughs* the Los Angeles Lakers. Professional Basketball Club, LLC, the Thunder's ownership group, is once again left seeking for answers following another dismal runner-up finish. The people behind it decide to blow up the team only looks like a contender on paper, but not so much on the court. Due to their players' trade value, Oklahoma City is bestowed with a bevy of draft picks, but is back to square one like when they just relocated from Seattle. Sick of all the carrying he had to do in the conference finals and not getting enough credit for his heroics, Thompson demands a trade and comes into his own with his new team. What would hurt more, the Splash Brothers ceasing to exist, or Klay finding another shooting sibling, like Devin Booker of the Phoenix Suns? The team's playoff woes carry over and Golden State sports a losing record 20 games into the 2016-17 NBA season. The head coach, who wasn't around at this point when they won their first 24 in the previous season, shockingly gets fired like former Houston Rockets tactician Kevin McHale. What's worse, is that there is no Luke Walton—who is now at the helm of the Los Angeles Lakers—to fill in the coaching hole. And mind you, the reigning MVP isn't exempted. A devastating exit after making history dealt a huge blow to the team's morale, especially its superstars. Draymond Green and Curry never recovered from their subpar and predictable (for their standards) play, and small ball seemed fun while it lasted.